Posted: July 10th, 2011 under Opinion. Needless to say, it has been a busy and interesting year for me already. It has also taken some time for all of the events to unfold, and gain some clarity on them. If you are interested in a story about living through a studio going sour (maybe you want to know the warning signs, or unfortunately compare it to your own experience); or if you are on your own personal quest for a games industry job I hope this is an informative article. In late February 2011, Gazillion and The LEGO Group finalized their agreement to continue development of the LEGO Universe MMO. Somewhat oddly the original contract ended on the launch date of LEGO Universe in October and there was much trepidation about what was going to happen to the project and the team that built the game. It is common to have a round of layoffs after a game ships, but things continued more or less like normal for several months. We were not surprised come February to find out LEGO had purchased the NetDevil (company website no longer exists) development team and rights to the LEGO Universe MMO from Gazillion. Everyone was stunned that the acquisition was mired with large cuts to the team; I was included in those cuts. I worked on LEGO Universe just shy of two years. There is no way it could have launched in as good of shape as it did without me. I wrote so much code, touching so many systems, that my work will always be running LEGO Universe. In the weeks before I was let go I was part of a special ‘strike’ team trusted to implement an up and coming critical feature, and received a very positive annual performance review. It was quite a blow to get that phone call, and to watch as others you had worked with post their status. Perhaps the Zelda series is my favorite franchise because it plays with my desire for completeness. It feels a bit like a curse to be unable to execute plans and ideas I was waiting to create, to be no longer able to build upon a code base you spent countless hours constructing. However, career wise I got as much out of that title as you probably can, and there are plenty of promising MMO’s that are canceled before they see the light of day. While I would not describe the development process of that game as perfect, the level of passion and dedication we collectively brought to that title was rare and will be sorely missed. I received more than a few touching messages, phone calls, and conversations from coworkers across the project that will always be remembered. Hindsight is 20 / 20. There were several signs of what was coming, I suppose most of us just didn’t want to believe them. Gazillion’s relationship with NetDevil was never great. There were actually quite a few blunders. I guess most of us assumed negligence or incompetence, rather than outright malicious intent. My first year there they created a rather involved bonus program, and then gave no bonuses. They somewhat sneakily tried to downgrade our health care around the same time as if we wouldn’t notice. They also stopped their contribution to our 401K at the start of 2011. Most of that just played off as standard corporate nonsense, trying to equalize plans across multiple studios (it’s funny how often those things get worse instead of better underneath a parent company). Many people had to make cutbacks in 2009 and 2010, they were rough years all around, particularly if all of your games were still in production. There was actually a large layoff at Gazillion’s Slipgate Ironworks studio in 2009. It was more how they went about doing it than the action itself, and the 401K news just verified to us that we would be switching companies. The relationship between LEGO and Gazillion didn’t fare much better. 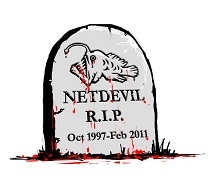 By far the biggest sign was the founders of NetDevil leaving; one by one they took their leave in late 2010. One of the founders, Ryan Seabury, talked about it in an interview with Kotaku. That dramatically decreased moral, and added a lot of tension, they were a really decent bunch that looked out for their employees. Each of them shared a similar sentiment that they just couldn’t deal with Gazillion anymore. As employees, we often felt like it was only through the actions of the founders and pressure applied by LEGO that kept Gazillion fair and honest. There were also plenty of signs that things we going to be fine. We were actually still hiring and adding team members the week of the layoffs. When LEGO Universe was released it was fairly light on structured content. While you could create whatever you could imagine on your property (the game’s sandbox play area), there was not much themed ‘ready to consume’ gameplay crafted compared to more traditional MMOs (what was there was very polished though). So it wasn’t like there was too little work to go around. Despite this, the vast majority of production time was spent bug fixing instead of on new features and content. In the few weeks right before the deal completed, forward progress was put on hold until we ‘saw what the new budget was going to be’; although, post launch there is always some radical re-alignments to give your users more of the content that they enjoy. Bad news travels fast, and it would seem that it is more infectious and viral than when it is good. These are just *some* of the sites and articles posted on the evening of February 23 or the morning after. Develop had an incorrect post about the information with the layoffs, and then there was this post referring to us all as ‘redundant’. It seems ironic to be calling the people you are reporting on ‘redundant’, even more so when you are re-posting other people’s information. I have never really been a fan of euphemisms, particularly when used as an attempt to mitigate deliberate actions. Personally, when you attempt to soften something ugly, it gives a feeling that you siding with those taking the actions. When you are close to these things it is tough, it also opens your eyes to lies, disclosers, omissions, and how to read the subtle language in business talk and press releases. For example, when you read something like “The majority of LEGO Universe development team members, formerly part of Gazillion’s NetDevil subsidiary, have been offered employment by the LEGO Group” that was the most positive statement they could make. There were many people cut, older employees, young ones, experienced veterans, hungry new talent, people with and without families, some pairs of spouses were split or both lost their jobs, some people you thought should be let go became unemployed, and some people you thought of as dead weight ended up keeping their jobs. There wasn’t really any rhyme or reason to it, from my perspective, they had a certain number to cut and they made the cuts they thought they needed. It actually seems instead of talking to people to make the best decisions they could, they would rather be dispassionate and ignorant than risk layoff rumors leaking. It was interesting to be part of these all too common events in the industry. At the time it was going down, soon to be ex-employees were posting about it on Facebook and Toby posted on his blog (odd how everyone picked up that post specifically). Their cavalier attitude and speed with which they disseminated that information initially shocked me, not that I would condone helping Gazillion cover up their actions. Respect your fellow coworkers enough that they don’t find out about their unemployment over Facebook. It seems like professionally you end up burning some bridges when you blab information like that, in the games industry we are trusted with confidential material all the time. Furthermore, being laid off is different from being fired, there is often further compensation and you are often still bound by whatever legal entanglements you had while you were employed. It is possible for your situation to get worse. I abstained from those immediate comments. As much as I would like to hide behind rationality and professionalism, I think that I was just in shock about the whole ordeal. Shocked, and there was no way I wanted fallout from negative comments to harm what I had spent so much time and energy working on. How likely would you be to purchase or continue funding a subscription when you find out production of new features and content has been reduced? Whether or not you can trust people’s online comments, I saw message boards with statements just like that. It’s a testament to the quality and uniqueness of LEGO Universe that more than survived this hurdle, it is shining as bright as ever (I do wish they would push new content more frequently, but I guess it isn’t my problem anymore). This all happened the evening of February 23rd 2011, or as I like to think of it, five days before the Game Developer’s Conference. There was no time to mope and be depressed, we all had to pick ourselves up and sprint to get ready for the biggest recruiting season in the industry. It was definitely easier and faster job hunt this time around. It is such a common question “how do I get into the games industry?” that I wanted to share some of my experiences, and what kind of process you can expect for a technical position. I was pretty confident that working on a big MMO title would give me instant industry cred. In fact, despite having decent experience in the industry, in many ways it felt like I was starting fresh and green all over again. It has been pretty surprising, I don’t think anyone I spoke to over the phone bothered to even Google the game I worked on, much less play it. You would think that, considering what I would get paid, or even compared to the cost of flying me out for an interview and possibly a hotel, it would be worth springing $20 online or at your local retailer to see my work. It’s not like you don’t own a computer to play it on. I spent two years of my life working on it, at least do me the courtesy of watching some YouTube videos of the game. It makes you wonder if they just are not gamers, or if there is so much deceit and deception anymore that people stop trusting resumes. Having friends in the games industry certainly helps, so does having some previous experience. However, I didn’t get my new job because of a personal connection. Industry experience and friends can get you some immediate attention and that important first phone call, but neither are enough to seal the deal and land you a job. If I connect with someone for the first time, I always ask how they got my contact information and / or why they sought me out. Recently, most people tracked me down over LinkedIn. There was an obvious flood of recruiters trying to pick up talent (and I assume a healthy commission) from those laid off from NetDevil. Every once and a while someone says they found my blog. I had one recruiter (before the layoffs) that said they tracked me down over LinkedIn specifically looking for candidates where I went to school (glad that education was worth something). When you get an appointment for that first call, do your homework on your prospective employer. Of course look at the games they have made in the past and what is currently in development (if it has been announced). If you haven’t played their games at least go read some reviews on them, you want something intelligent, insightful, and positive to say about them. Also check out their forums and message boards – are their games crippled by bugs, when did they last patch an update, are there walkthroughs or gameplay videos that users submitted that you can watch? Did they make money last quarter? How many people work at the studio? Knowing their cooperate information is just as valuable as playing their games. Typically, the first phone screen is with HR and knowing this stuff impresses them (and at the very least they are saved repeating the business mantra for the 1000th time), it also gives you an idea how stable and what the corporate culture might be like. Your goal is to display yourself as interesting, passionate, and a candidate worth pursuing. Typically the next step is another phone screen or two where questions get technical, some people skip steps or include some very definition like questions in the first screen, but this is typically how it goes. Do not freak out if you miss a question, learn and study up on any questions that you miss for future interviews. People want to get an idea for how you solve problems, practice externalizing your thought process in front of others. Go through the solution steps even if you already know the answer, and it is always bonus points if you can relate the problem to previous experience or something you have worked on before. The timing of when these calls progress can be highly erratic. This can have nothing to do with you, or how promising you are as a candidate; it is just the pace of the company’s internal workings. Typically the bigger and more prestigious the company the slower they move. I have heard stories that the complete hiring process at Valve and Blizzard is something on the scale of six months, I think it is still Valve’s standard to not even bother with people that have less than 5 years industry experience. I have had positive first conversations then a gap of three weeks before even getting the next talk scheduled. Patience is a virtue, and a necessity in the games industry. Talk to a lot of people, even when you are a perfect fit, things outside of your control can happen. They could find someone just as good that is local instead of having to move you, they might have already extended an offer to someone else and are waiting to hear back, they might be more interested in hiring someone that is more junior that is willing to work for less money, or they could cancel the opening. Talk to anyone that wants to talk to you, it is +1 connection, +1 experience, and it might be a more interesting position or company than you thought it would be (and sometimes places that you thought would be awesome end up sucking). At any given time I think I was communicating with sixteen different companies, perpetually cycling through more as interest levels waned or I was turned down. Prepare yourself for some crazy. I think in this latest round of job hunting I completed programming tests in at least four different programming languages, not every test was in a language relevant to the position. Back when I was looking in 2009, I actually had a company that wanted to video Skype to watch me take their test. It is always a little frustrating when you jump through all of these hoops only to hear nothing back. This time around I actually had a company interested, I had flown out and the day before they canceled the interview on me (the friend I had working their left soon after, so maybe it was a blessing). One of my fellow coworkers looking for new work received an offer and was literally given an hour to make a decision on it, when he asked for more time they retracted the offer. Some people still seem to want to manufacture a reason to not hire you or give you the standard thanks but no thanks letter. I actually had someone tell me I was no good. Look, I have my flaws, but I have written enough code, and worked with enough other programmers to know where I stand. I am pretty confident in my abilities, I do not need your validation, and if you can’t at least be honest or courteous I would rather you not say anything at all. Don’t expect your interviewers to have looked at your website, resume, programming test you submitted, past games you built, or have learned anything about you. You are expected to have absorbed everything about their company, have played all their games, and hopefully looked up histories on the people interviewing you. That is just how it is, try not be rattled or get sidetracked. Be polite, professional, you are there to give your best performance and prove your abilities. If you can sell them on your talents they will go through all the things you submitted to them. In my job hunting rounds I did several in person interviews, there was only one studio that felt comfortable sharing their current project with me. Maybe this phenomenon has only afflicted the social games studios where the production timelines are smaller, and it is a bit more conceivable that someone could steal your idea, but leaving your prospective employees in the dark is just foolish. How can I honestly make an informed decision without knowing anything about the project (which I will likely spend months of my life building)? To anyone that interviews me in the future, I care about the games I will be building the most, secondary would be knowing who I will be working with, then how hard I will be worked, and the likelihood of the game shipping. Outside of the company I co-founded, both times I have been hired onto a new company I was given 48 hours to accept an offer. Both times they wanted me to start as quickly as possible, I felt like I actually had to negotiate for three weeks to move across the country. Twice now, after I was hired they shared how difficult it has been for them to find qualified people with the current market demands, and if I knew anyone else with similar skills looking for work. It is definitely a challenge to get into the games industry; all of us get turned down for positions. If you are talented, passionate, and persistent you will find a job (no guarantees that it will be glamorous). There are more jobs and companies out there than you think too, don’t give up just because you exhausted the gamasutra listings. You really need a whatever it takes attitude, worst case get a part time or temporary job and make some games with your friends on nights and weekends until you get noticed. Once you have made it into the exclusive industry club keep working on your contacts and making new connections. The next time you are looking for work you should have some friends that can help you out. In no time you should have companies and recruiters contacting you to fill positions. My new job is certainly different from my last one. I was definitely more passionate about getting to work with the LEGO IP on a big MMO title, but I definitely feel like I am more valued for my expertise and opinions with Game Show Network. Side note, the LinkedIn bots fire as soon as you change your current employer, make sure you update the rest of your profile first. I like the fact that I am back to working on a smaller team that is more agile and focused. It is definitely nice to be working on the cutting edge of ActionScript fulltime, and it is a really interesting to be in an environment where everyone could be considered an expert at what they do. It was a month from the time I found out I was laid off till I accepted an offer from Game Show Network, and roughly three weeks from when we first connected. One of my close friends and I actually had a race to see who could get hired first, to his credit he won (he might have to correct me but I think he got an offer in two weeks, somehow without an in person interview). I am still a bit surprised that this is the second time I acquired a job without any personal connections. I am thankful, and very much looking forward to life calming down for a while and having time to work on side projects again. Wow, this is actually the first I’ve heard of this. Interesting read to be sure. You do some great work, so I wasn’t surprised to read that you were able to find work quickly. Working on the LEGO project was definitely interesting, and at least while I was working with you guys there was no indication of this having the possibility of going down (especially with all the hiring going on like you mentioned). The demise of netdevil couldnt have happened to a more deserving group of people, excuse me I mean bullies in the workplace. You all got back the se bad karma you put out!! !